NFL uses the latest metrology equipment for generating drawings from parts that need to be re-engineered This state of the art equipment is the Faro@ Laser Scan Arm and is also used to ensure that all castings meet customers requirement. Our drawing is made by the Solidworks 3 Dimensional Software while all necessary casting simulation concluded by our Marvis Sofware. 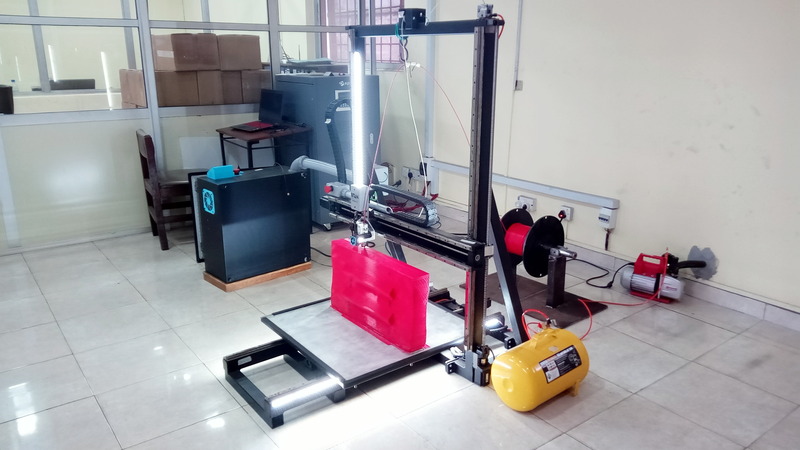 Our Methoding Department is equipped with traditional pattern making facilities and a Titan Robotics 3D printer. This allows us the versatility to make a broad range of patterns, at the best cost, for the customer. Forming the nucleus of NFL’s moulding facilities are horizontal moulding machines designed for the fast production of green sand moulds of consistently high quality. 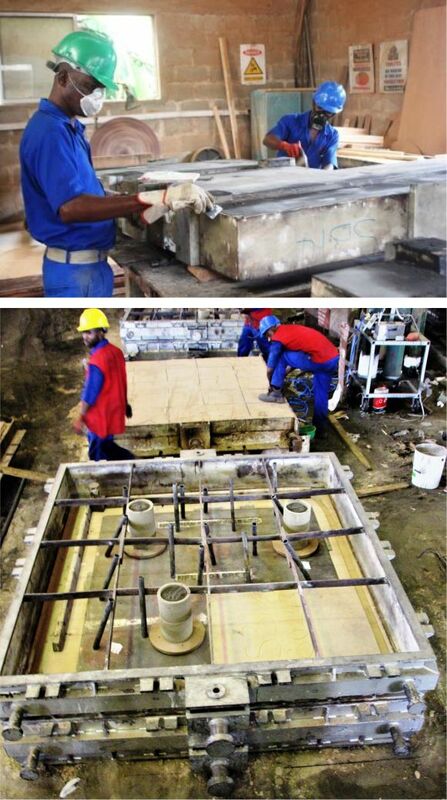 The moulds produce castings to international standard with weights of up to 100kg. 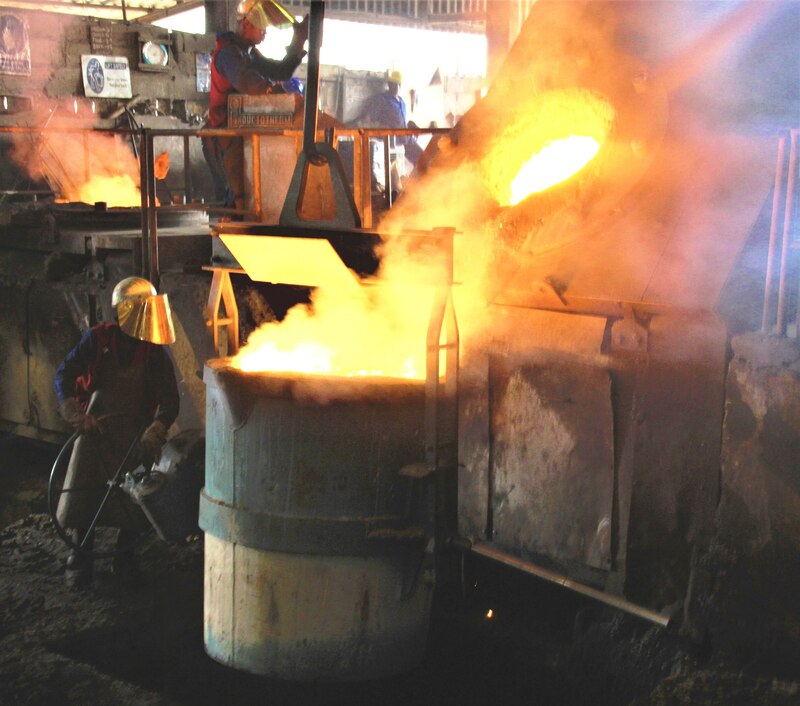 NFL’s jobbing moulding facilities are designed to produce iron and steel castings of up to 10000 kilograms; a versatility known only to a few foundries. NFL’s melting facilities encompass six(6) medium frequency induction furnaces of varying capacities from 500 to 2,000 kilograms. 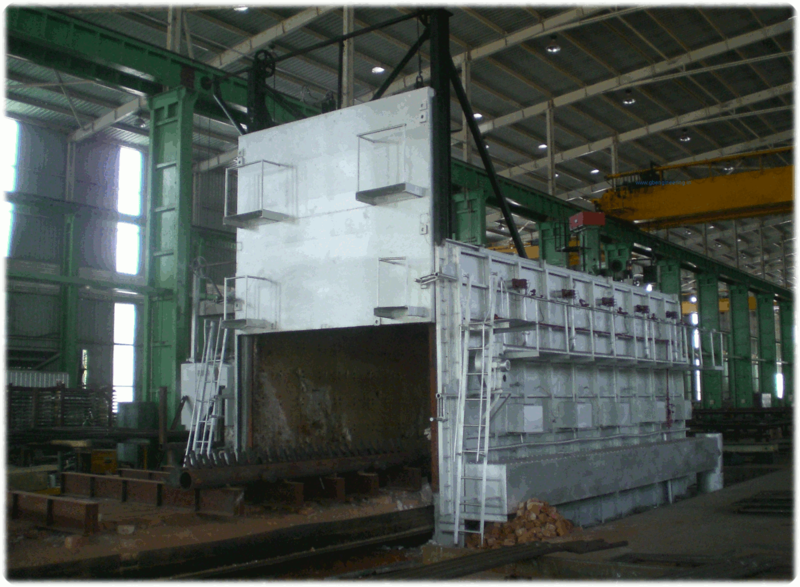 The Otta plant is equipped with 2x 2000kg and 2 x 1000kg (Inductotherm Dual Track furnaces) and 2 x 650kg Inductotherm Powertrack furnaces. This combination allows for versatility in the production of castings of varying metal specifications. Our laboratory is equipped with an Optical Emission Spectrometers to monitor that the material produced is to the required metallurgical specifications. This ensures that all specifications conform to the required international standards, as required by the customer. Perhaps NFL’s greatest strength lies in her ability to produce a wide range of materials to the highest standard of quality and excellence. NFL operates electronically controlled, heat treatment facilities complete with graphed recording instrumentation to monitor heat treatment cycles. Water, oil and air quenching facilities are also employed to ensure that optimum mechanical properties and grain structures are achieved so as to satisfy the exact specifications of our ever-expanding customer base. Through machining, we add value to the cast part by facing, turning, adding slots, drilling, tapping and complex surface contours facing to meet client specification. 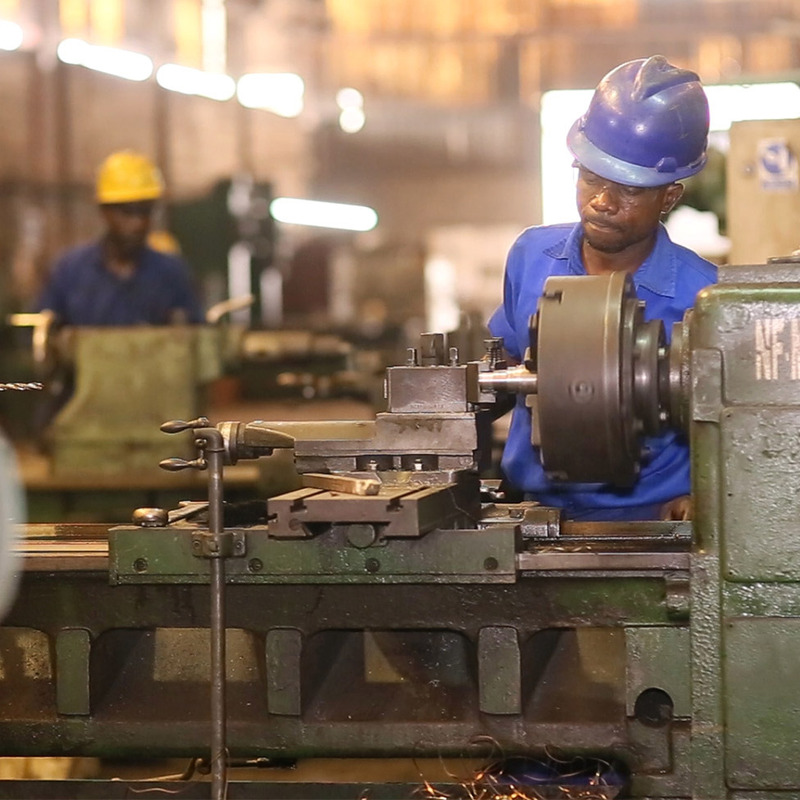 Our foundry is fully equipped with 4 sets of horizontal lathe machines of different sizes, 1 vertical lathe machines, 2 pillar drill machine, 2 milling machine, 1 boring machine and one surface plaining machine. For over 49 years we have built an international reputation that rests on our comprehensive quality testing procedures.